21 things I learned while hiring Filipino workers. This should be a guest post by George (who I recently did a case study with). Because George is succeeding with having Filipino workers do the work in his business he has other people asking him how he’s doing it (hmmm…that sounds familiar…). He wrote up this list of 21 things he learned while hiring Filipino workers to help others get started with it. It is very prestigious for a Filipino to work for an American company. Filipino companies HATE American companies that “steal” people from their potential work pool. Many Filipinos are more loyal and dedicated and hard-working than their American counterparts (in my opinion). Phone connections are “bad” to the Philippines. Internet is “iffy” in many parts of the Philippines. When it is good it is good, but the rainy weather sometimes makes it tough. Therefore, you must be flexible with their hours. You may be disappointed if you rummage through all the potential resumes and cherry-pick the best. It is better to send out the template to anyone who has the potential skill set you are looking for and then talk with the ones who respond. I only got maybe a 10-15% response rate. One reason you don’t get a response…a Filipino friend told me that Filipinos hate to disappoint – so in many cases they just don’t respond. In other words, they probably already got a job and don’t want to tell you so. Filipinos are leery of Americans sometimes and that is because of many unscrupulous ones jacking them around with their pay. It is not uncommon for an American to hire, get 2 weeks of work and then not pay, only to do that again with someone else. Since Filipinos have intermittent issues with internet connections (depending on how close they live to a major city), you have to be willing for them to make up time; for instance, to work a Sat-Sun to substitute for a day missed. Although you can pay a company based in the Philippines to manage your employee by providing them a computer, office, etc., you will pay twice as much and have a higher turnover than if you take the chance and let them work from home. A typical commute in a city like Manila is 45 minute to work and 45 home. Letting a Filipino work from home is pretty appealing for them. Filipinos like structure. Many are not as fast at doing tasks as Americans, but you get more productivity out of them in the long run. Use an instant message service like Skype to communicate. I used this service to interview as well. At first it was awkward, but I ended up with a written record of EVERYTHING they said, which was great to refer back to when I was trying to make a hiring decision. 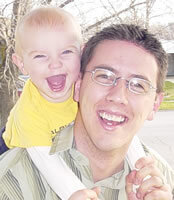 Pay them using Xoom (http://www.Xoom.com). That way, you can transfer to their bank account (if they have one) or they can go pick it up at any of hundreds of Xoom locations. Filipinos expect something extra at Christmas time. A friend told me he pays them an extra month’s pay in December. Find out what they are willing to work for and then give them a little more so that you will lock them in. Make a spreadsheet and keep records of all the e-mails you send, as if there is someone you really think that you are interested in, you need to know if you have sent them an e-mail and how many times. Sometimes it takes several e-mails to get them to respond. If the e-mail comes back (undeliverable), scan the resume for a phone number and call them. I did this. We talked long enough for me to get their new e-mail and a Skype ID. I ended up hiring that person. Get a calling card with NobelCom (http://www.nobelcom.com) for making calls to the Philippines. Very cheap. Never type in a communication using “Philippino” for “Filipino”. They will laugh. Hope this helps. 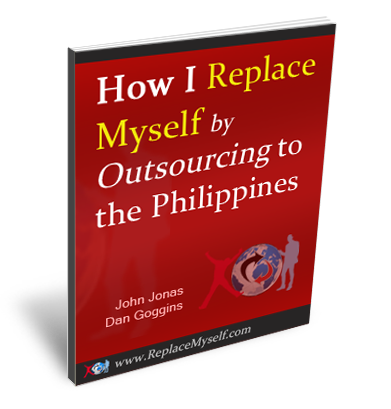 I paid hundreds of dollars to learn a lot of what I just shared with you about hiring Filipinos and learned much from John Jonas and by trial and error. Do you have things you’ve learned while hiring Filipino workers? Contact me and tell me about it. I might let you make a guest blog post.